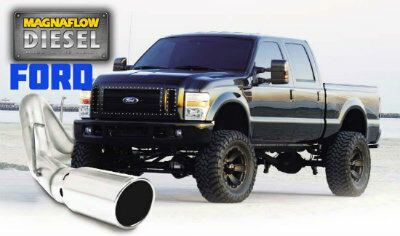 Big Diesel's deserve high quality, big power exhaust systems from Magnaflow. Duramax, Power Stroke, and Cummins equipped trucks systems enjoy immediate gains in Horespower, torque, fuel economy, and lower EGT's when Magnaflow equipped. Available in a variety of configurations to suit every budget, same day FedEx shipping, only at Hottexhaust! 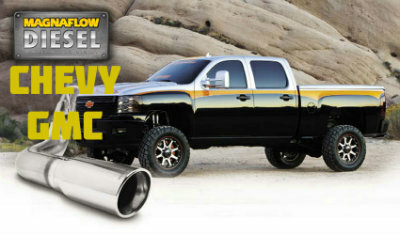 Magnaflow PRO Series all stainless systems starting at $329.95, freight included! 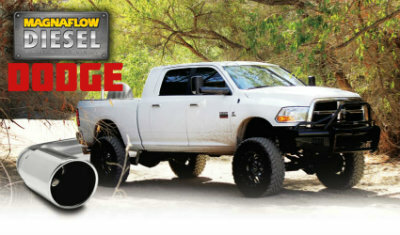 Check out our new Dual Side Exit diesel systems....the ultimate sound and look for your rig! 2018 model years now available.